Some are individualists who want to travel light, or alone, prefer to camp under the stars. Others may want to enjoy the comfort and charm of a B&B at night. Some come with tour groups, and some with family or friends. Some are novices and some are serious competitors. Some do it for a few hours at a time, while others take the whole route in one trip: 444 miles from Natchez to Nashville for the “experience of a lifetime.” But however travelers decide to bike the Natchez Trace, on one thing all riders agree: the Parkway offers an easy-going, easy-to-love experience. The National Park Service has designated the entire 444 miles as a bicycle route, and with light automotive traffic— commercial traffic prohibited—slow speeds, and no stop signs or intersections, bikers can relax and enjoy an exceptionally scenic roadway, unspoiled by commercial signage or development, and offering up gorgeous vistas at every turn, from forests to farmlands to rivers and lakes. The Trace provides innumerable side trails and opportunities for fun in the great outdoors or through artistic and cultural adventure, whether digging into historic sites, or hitting the shops and restaurants located within our 19 communities. The first weekend of April in Ridgeland, MS Cheers & Gears features some of Central Mississippi’s fantastic cycling routes with the main feature ride being the Natchez Trace. The Ross Barnett Reservoir parallels the Parkway for 8 miles of the route, which leaves for a spectacular view! Register here. 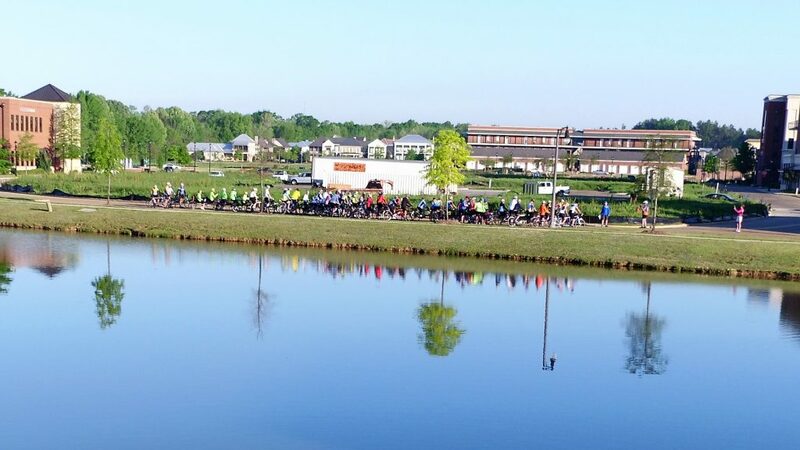 Every April, this week-long ride down the scenic Trace allows riders the opportunity to enjoy what ESPN rated as one of America’s ten best biking roads while contributing to the eradication of poverty housing. Riders can indulge in a brief hiatus from busy lifestyles as they leisurely wind through the picturesque countryside. Register here. The first weekend in May also in Ridgeland, the annual Natchez Trace Century Ride provides an experience for riders of all ages and abilities. Over 700 cyclists each year have jump started their cycling season while discovering small town charm while pedaling on stretches of national scenic byway. Register here. 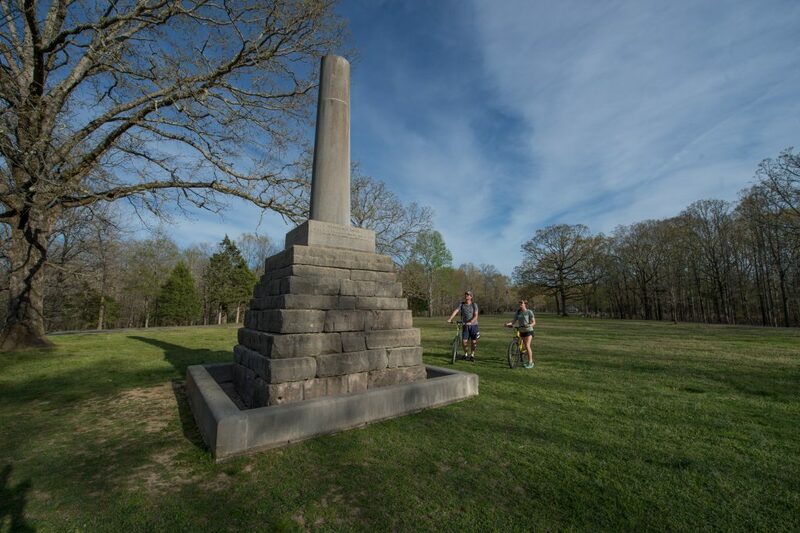 The Natchez Trace Bike Tour offers a special 5-day tour exploring the deep history of the southern Natchez Trace area and the pre-Civil War era. The Lizard Head tour takes time to explore sites and learn its history. Cyclists will visit dozens of historical places while en route and stay in historic lodging. Register here. Offer multiple rides, this tour allows you to pedal every inch of this nearly continuous greenway linking the southern Appalachian foothills and the bluffs of the lower Mississippi River. An accompanying van will haul most of your gear as you traverse forested ridges, coast along broad valleys, and slip through isolated hollows. Register here. Offering April and May dates, VBT offers a Mississippi-specific tour of the Natchez Trace Parkway. Compelling history and gracious living merge seamlessly on this laid-back reel through the Old South. Register here. With the Parkway’s vast stretches of winding curves, historic sites, outdoor recreational activities and friendly towns offering great dining and lodging options, it’s no wonder that the Parkway is a destination for many travelers looking to connect with nature on two wheels! Read important safety bicycling information from NPS. Follow @TheNatchezTrace on Facebook, Twitter, and Instagram and share your cycling stories and photos with us!